I can imagine many Germans were saying the same thing, back in 1933. The thing scaring me the most is Ryan and the rest of that scum are behaving as if there will be no consequences for being such monsters. I hope to hell this is hubris earning its classical reward, but right now, it's difficult to see how that's going to happen. They Live is looking more like a documentary with each passing day. 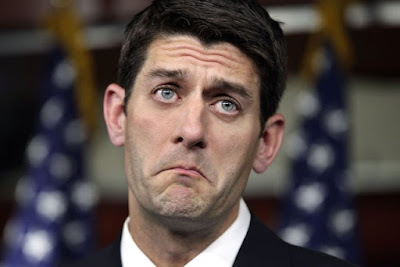 Ryan is a Lock brothers employee in Washington.What can we expect. My Q is what state secrets is this admin passing to the Russians? That's what all of Europe said in 1938. Hi Anonymous, it's actually Koch Brothers and to tie the rest of this to the other comments, the Koch Brothers father did a lot of business with Nazi Germany. Such nice people.